party ideas – Hello Adorable! The chickabug blog shares all kinds of awesome ideas for throwing a “little monsters” themed kids party. 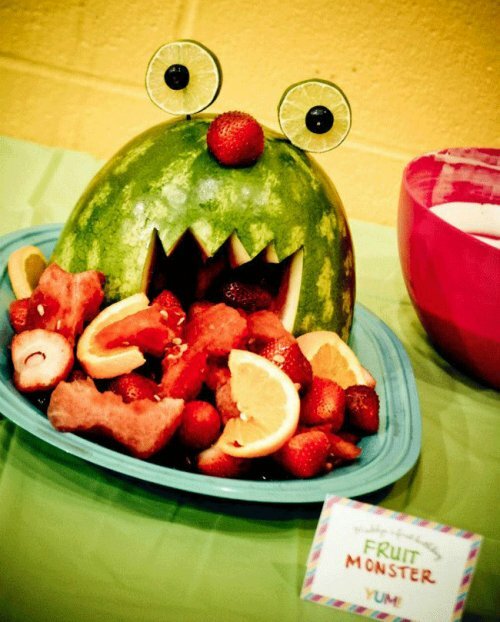 Including this awesome fruit salad monster made from a carved watermelon. Looks pretty easy to do too!